Fashion is forever with a soft and luxurious knit infinity scarf. Lightweight material is warm, comfortable. 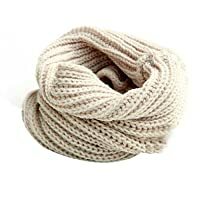 Keep neck warm, also a good decoration for your clothes. Ideal accessory for this winter season.